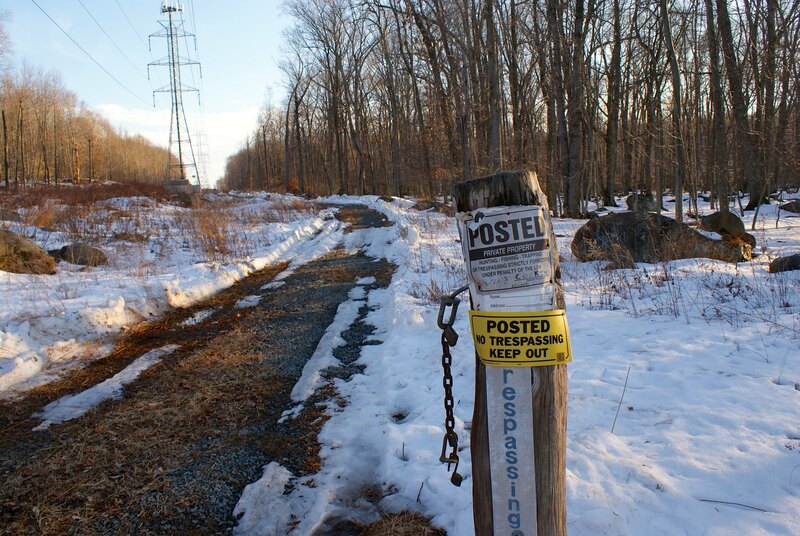 Part four of the pipeline route series is back in West Amwell, NJ. 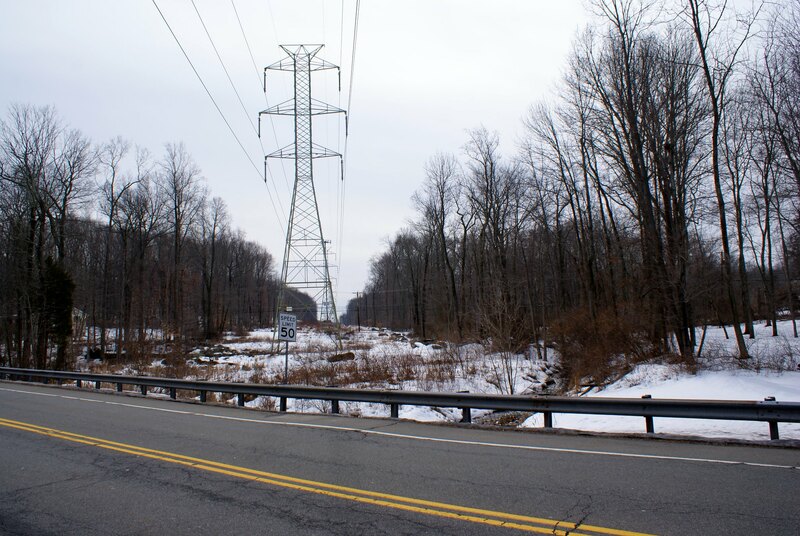 Pictures here are from Woodens Lane, Old Route 518 West, and route 518. 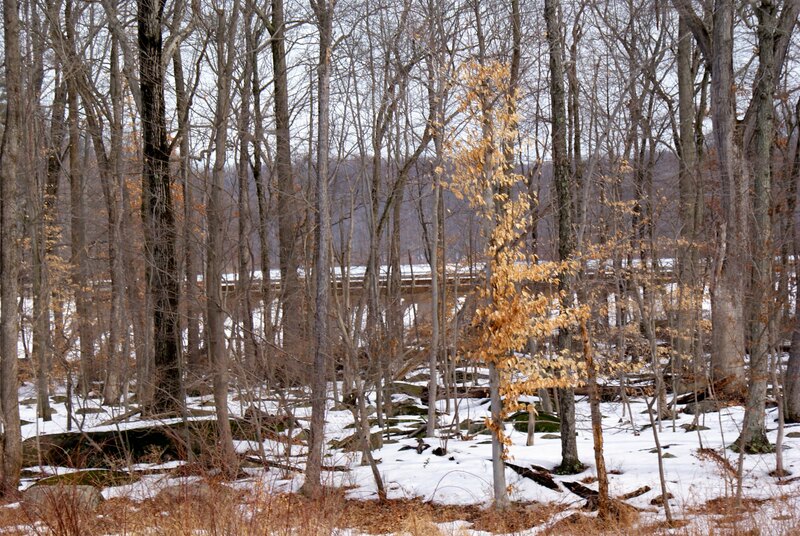 This section highlights where the pipeline route comes within a couple of hundred feet of Lambertville’s primary water supply, the Swan Creek Reservoir. 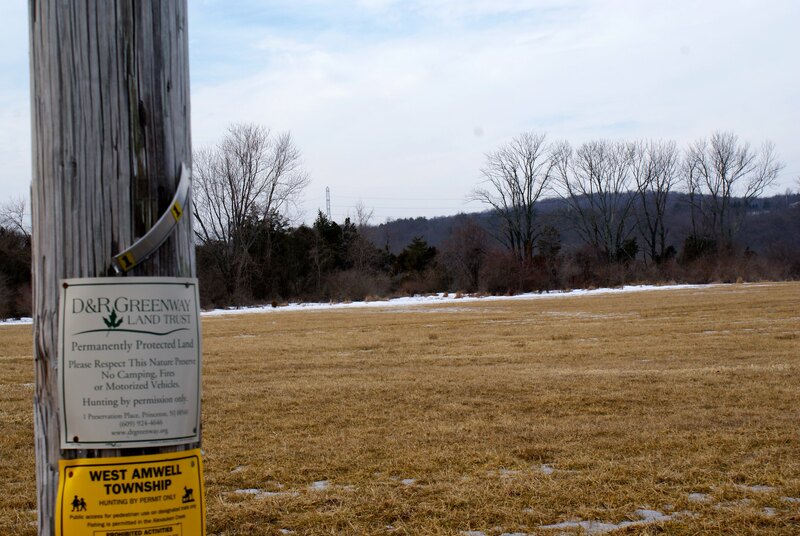 This shot shows land that was protected just last year as a joint effort between West Amwell Township and the D&R Greenway Land Trust. 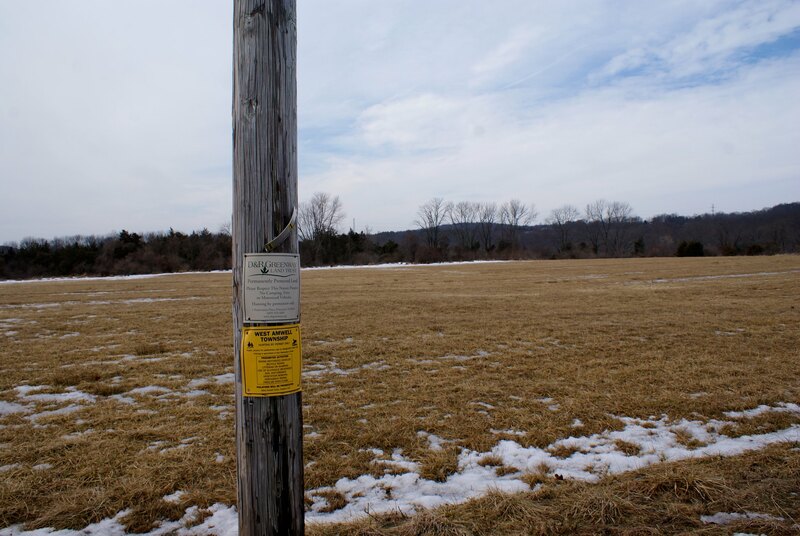 This is 43 acres of farmland and woods that was supposed to be protected in perpetuity. 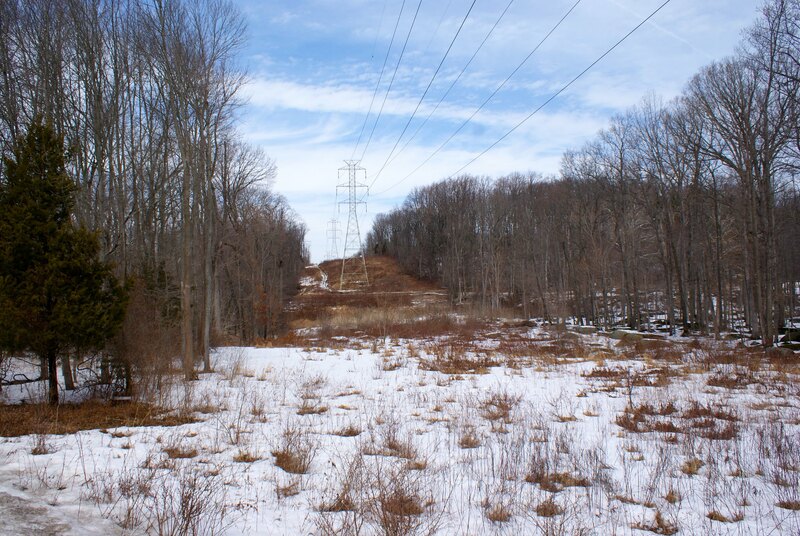 The pipeline route is coming very close to this parcel, you can see the electrical towers where the pipeline will be in the upper right. It took eight years to get this land protected, and a slight variation of the pipeline route could end up going through it. You can read more about the conservation effort here. There are several other protected parcels in this area as well. You can see the long list of prohibited activities on the West Amwell sign, including prohibitions on removing soil and vegetation from anywhere on the land. I guess PennEast will just cross through those portions of the sign if they come through. A zoomed in shot showing the towers more clearly. A slightly different angle showing more of the ridge on Goat Hill. Our house is up there on the ridge. 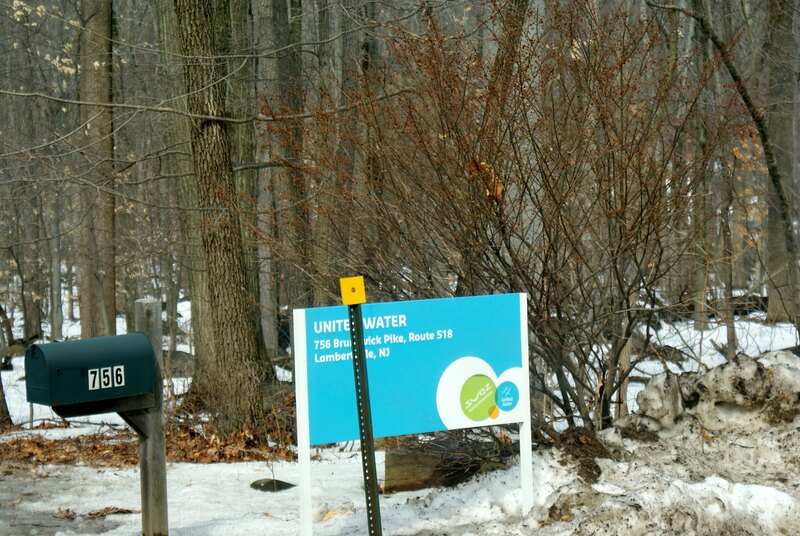 Just off of route 518 going into Lambertville, NJ is the Swan Creek Reservoir, owned and operated by the United Water company. This is the primary water supply for Lambertville. 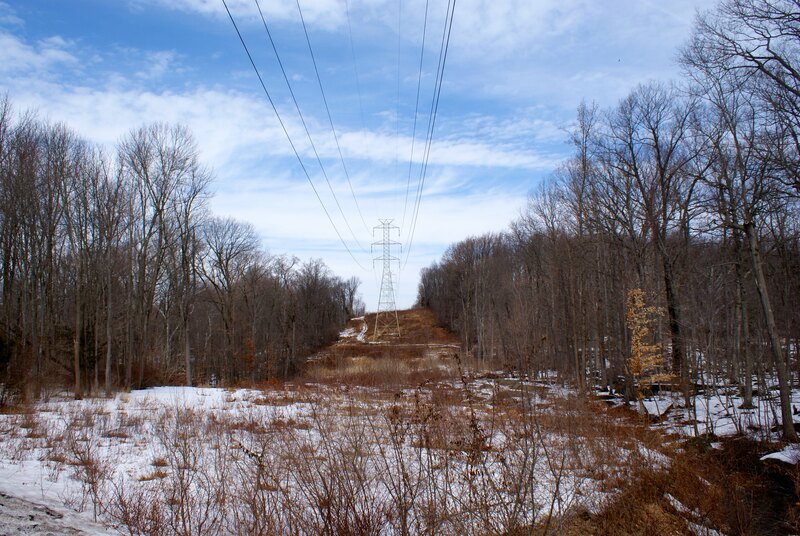 The pipeline route goes within a couple of hundred feet of the reservoir in very hilly and steep terrain. A picture of the reservoir. Sorry it’s a bit hard to see with all the trees. The horizontal line demarks the edge of the reservoir and has spillway controls for when they need to dump water into Swan Creek below it. 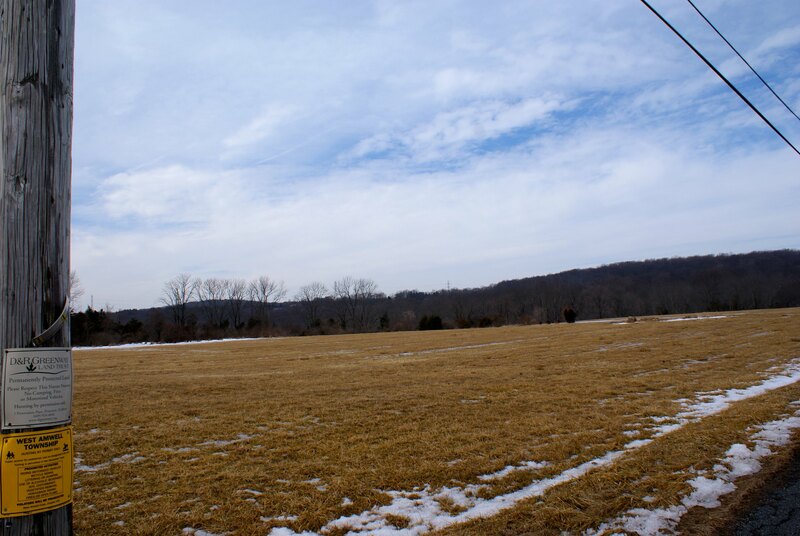 This shot is looking southwards along the power line easement. As you can see the towers are really big, and the cut is going to have to be widened significantly for the pipeline to run next to it. Notice all of the boulders around here, In this area the diabase bedrock is right at the surface and there is no soil at all. 518 also a major thorough fare in the area, one of the main arteries leading into Lambertville city. Traffic is going to be a nightmare when they close this for construction. The reverse view of the above, this is looking northward along the route. 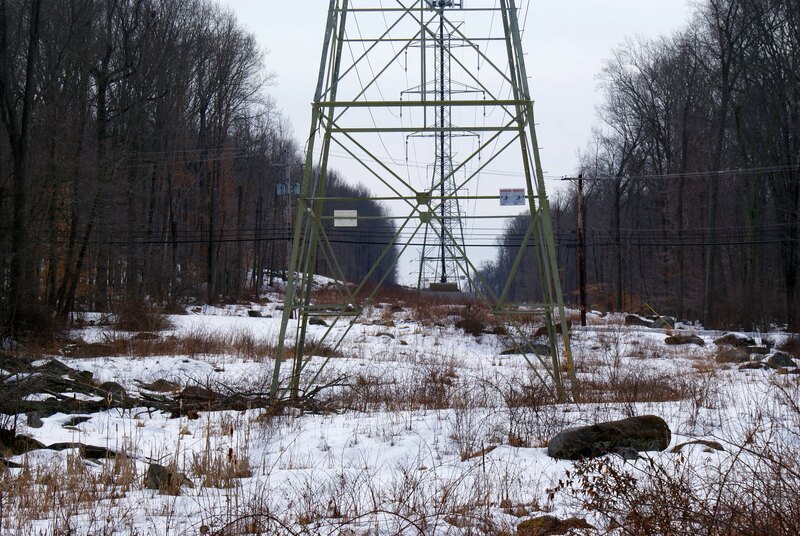 You can clearly see the power company’s service road on the left of the towers. To the right is the Swan Creek Reservoir (just out of the shot). If they go left for the pipeline they’ll have to move the service road or cut a full 100′ more to accommodate construction. Otherwise they’d have to move the service road to the right, which might also require more cuts to that side. But that side also has the reservoir, so I see no good choices here. Oh and of course this route is quite steep. Runoff is going to be terrible the more they widen. The same as the previous shot but zoomed in. A wider angle looking south. You can see the small stream to the right that runs along and crosses the route here. Another shot to the north. 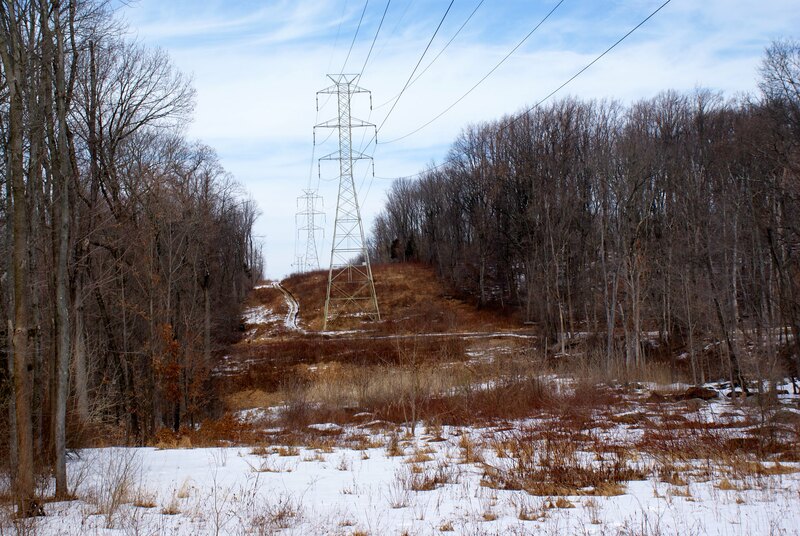 I took this shot to show how the power line towers are perfectly centered in the easement. 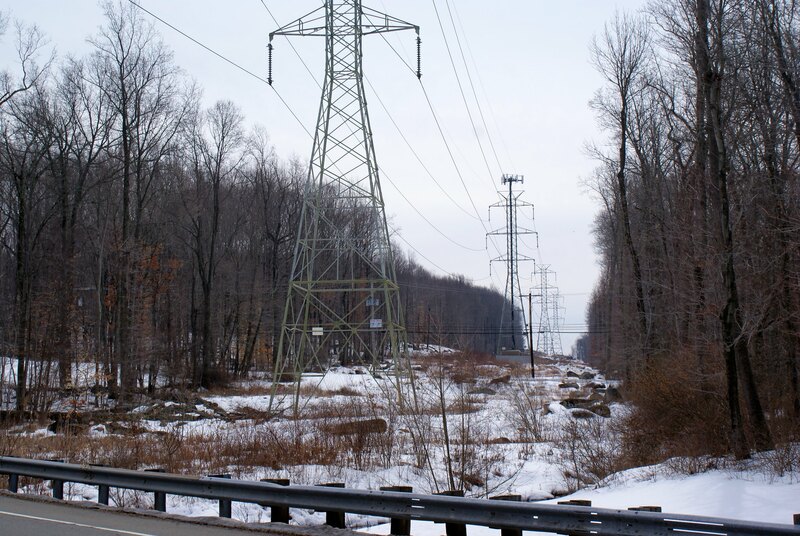 This is true of the whole area where there high voltage towers. 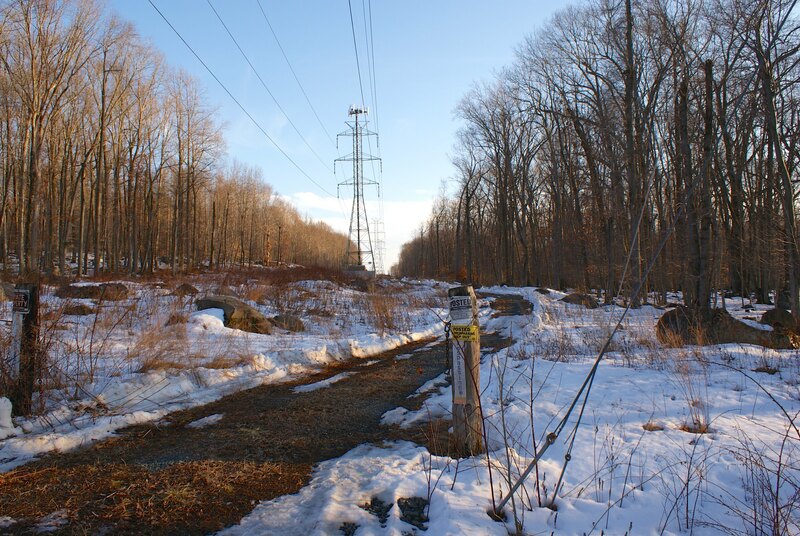 This means PennEast will make this big ugly scar in the country side even wider, making it uglier, run off worse, invasive species more of a problem, and further impacting wild life. A zoomed-in shot to the south with the towers centered. 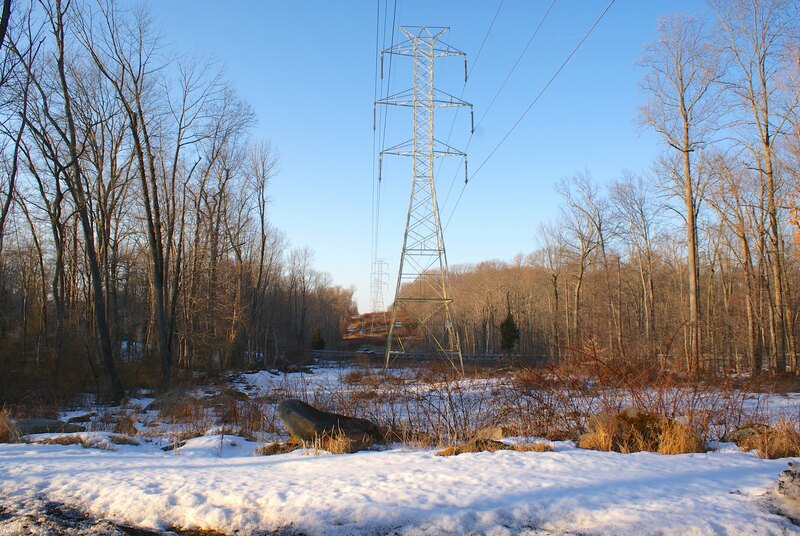 The regular power lines you see running across the view are Old Route 518 West. 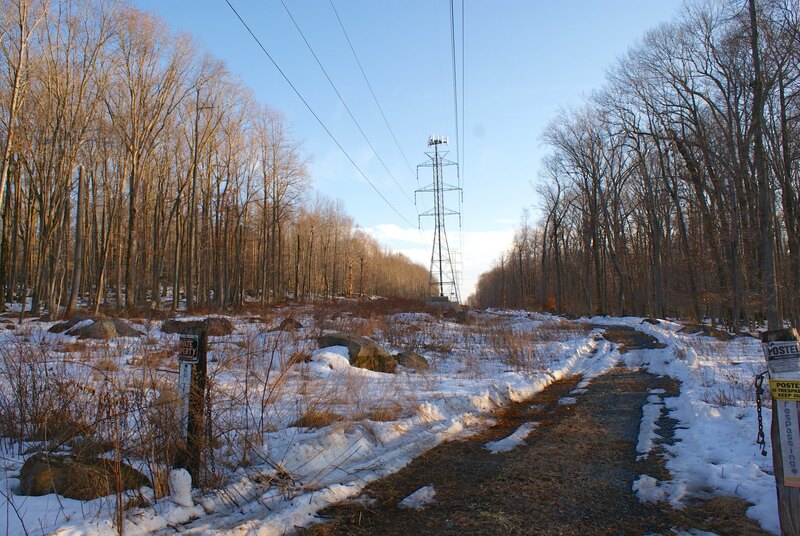 Old route 518 runs a couple hundred feet to the south of Route 518 and parallels it. You can see a car on route 518 in this shot. The southern view from Old Route 518. This is right next to the electrical service road on the right of the shot. You can see more boulders here. Again, if they’re going to preserve the service road they’ll have to run the pipeline on the left and severely widen the cut. Diabase is very shallow or at the surface here so intensive techniques including blasting will have to be used. Slopes here are modest but still a concern. Slightly different angle of previous shot. Old Route 518 West, looking southward. No trespassing!